Our little man blowing out his 3rd birthday candle and making his wish! I had posted this on Facebook, but I realized a lot of you would of not seen this. It was just too cute to pass up and not post. He loves his baseball immensely, so I know his wish is always about the love of the sport. 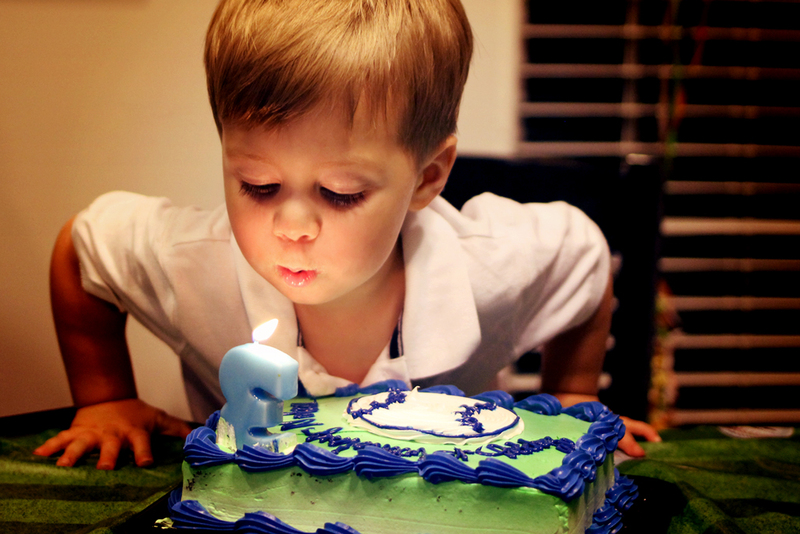 Can you see how he fell into the cake, as he leaned over to blow out his candle? You should of seen the white shirt afterwards…hilarious. So what would be your wish today if it was YOUR birthday? What a beautiful picture – he is a cutie!! And Happy Belated Birthday Little Man! That is a GREAT wish!!! I am sure he enjoyed the cake too! Such a sweetie! Can’t believe he is growing up so quickly Laurie. Did you take a picture of him with the icing all over his shirt? Just LOVED seeing this great picture here, there and everywhere! He’s adorable! I hope he had the perfect birthday. That is a great capture of the moment! What a adorable picture and so glad that you shared it. Happy Birthday little man! OMG, how sweet! Happy Birthday to you, wonderful Little Man! My wish would be good health. Happy Birthday to Little Man ! Excellent image.. Wow time flies doesn’t it. Hoping you have a weekend! Hope he had a great day!! The portrait is awesome! The birthday Man is doing his job seriously and with dignity! The light is great. Finally, the cake is for sure worth to lay down on it. lol… Happy Birthday! Happy Birthday, Little Man! I’m in love with this photo… Thank you sooo much for posting it, Laurie! Great photo! Love the light. I just love little man’s face. He couldn’t be any cuter if he tried! Growing up right in front of our eyes – cutie! Happy Birthday! Our grandson will be three in two months. I can’t believe he is already 3!! Adorable! This photo will indeed be a family classic. So fun! And shirts wash. Chances are he’ll outgrow the shirt in a month anyhow. Can you believe he’s already 3? You’re right that is an adorable picture and too good to not post. Happy birthday little man. That photo is too cute not to post. 🙂 I’ll be wishing for good health, a new camera, and the ability to figure out how to use it.